The fourth in a railroad police badge series, this book serves as a history and collector's guide for railroad police badges of the Civil War era from the 1840s through the 1880s. 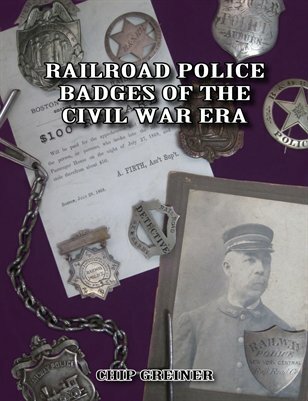 Written by Chip Greiner, an active railroad police chief and avid badge and memorabilia collector for the past thirty years, the book is a comprehensive look at the history of Civil War era police and the badges they wore. With value estimates and front and back photos of the author's collection of badges, this book is a must-have for both the experienced police badge collector and the beginner in the hobby.